Commercial truck financing requirements and funding options have a major impact on today’s business owners. Across America, businesses rely on commercial trucking to get their inventory to buyers and put on retail shelves. The American Trucking Associations reported that commercial vehicles generated over $700 billion in revenue in 2017, and moved more than 70 percent of all domestic freight tonnage. That’s a staggering amount — and for many businesses, reliable commercial trucking is a vital part of their business. Yet navigating the world of commercial truck financing requirements and options can be a challenge. Traditional lenders rarely offer these loans, and the requirements are different than other types of funding. If you’re thinking about obtaining financing to purchase or lease a semi-truck, here’s a guide to help you navigate the process. If commercial truck financing requirements seem daunting to you, you’re not alone. Consider the case of Linda, the owner of a regional produce supplier. When she took over the family business, she was prepared for many of the exciting opportunities and challenges that it would bring. Linda wanted to keep her family’s produce business going, both to honor the legacy that her parents created and to support her family. However, she didn’t have a road map or hands-on experience with an important element of the business: obtaining commercial truck financing to replace vehicles in the company’s commercial trucking fleet. When one of the company’s older trucks broke down, their mechanic reported bad news: the costs to repair it were too high to be justified. As a result, Linda began to think about replacing that vehicle, as well as planning ahead to replace the other aging trucks they owned, with a commercial fleet financing plan. The company’s budget was already stretched, but Linda relies on daily deliveries to keep customers happy. Otherwise, her inventory is spoiling on the warehouse floor and she’s losing revenue and profits. She took key steps to learn about commercial truck financing requirements. Determine your goal. Do you want to buy the truck outright, finance it or lease it? That will help you tap into the right kind of funding. Know where to look for a partnership. Local, traditional lenders rarely provide truck funding — this is true even of traditional lenders that offer a variety of other small business financing. As a result, owner-operators and business owners thinking about a semi-truck loan need to find specialized lenders. Be prepared for a range of interest rates, as these can vary. A business owner with spotless credit and a great equipment plan might qualify for an interest rate of around 5 percent. Others, such as those navigating bad credit situations, may be looking at interest rates from 7 to 30 percent. As Linda evaluated her options, she quickly came to realize that she needed to make a clear business plan. From there, she would be able to approach a specialized lender that offers support for applicants searching for commercial truck financing with bad credit. Linda had built up some debt and missed a few payments; while she was back on track, her credit score had taken a hit and was slowly rebuilding. She set out to research exactly what she would need to apply since it was clear that the process would be different than applying for a personal auto loan. Checklist: What Do You Need for Commercial Truck Financing? Personal credit history: When pursuing a commercial vehicle loan, it’s important to take a look at your credit score. The higher your score, the more likely you’ll qualify for lower interest rates and easily obtain funding. However, options exist for small business owners seeking commercial truck financing with bad credit. Start by getting your latest score and then evaluating what loans you’re likely to qualify for. From there, you can explore ways to increase your chances for approval by putting together a strong application. Linda pulled her score and saw that, while it was better than the last time she checked, she hadn’t yet achieved excellent credit — and she needed a plan to find commercial truck financing with bad credit. If these issues are reported and are incorrect, follow up with credit agencies to have the information corrected. Have you faced these challenges or have outstanding issues? Consider taking steps to resolve them before you apply to be in a stronger financial position and help you meet today’s commercial truck financing requirements. Down payment: One of the most powerful ways to improve the strength of your application is to have a substantial down payment. Due to the risk of financing truck ventures, few lenders will approve a loan for 100 percent of the vehicle’s value. Instead, they’re more willing to take a risk on business owners who have a down payment saved up. Typical down payments often range from 5 percent to 30 percent of a truck’s value, depending on the other factors in your application. Overall cash position: In addition to your down payment, another factor lenders consider is how much cash you have in the bank. Do you have the equivalent of a few months’ payments saved up? This alone can help reduce the risk for lenders, helping assure them that a late client payment or unexpected payment delay won’t derail your ability to make timely payments. Basic business information: Be prepared to pull together reference documents on your business, including several months or years of tax returns, business information such as licenses or articles of incorporation, profit and loss statements, copies of customer contracts and purchase orders, and bank statements. Commercial truck financing experts will also look for your USDOT number and federal motor carrier number if you plan to do interstate commerce. Time in business: How long have you been in business? An established company with a strong client base and a track record of performing has an advantage in applying for a truck loan. Length of time in business is one area lenders will look at when evaluating you against typical commercial truck financing requirements. In Linda’s case, her parents’ company had been in business for several years, giving her an important edge. For younger businesses, it’s helpful to think through ways to show that you’re established — such as strong cash flow reports, shipping contracts or customer purchase orders. Type of truck: In addition to looking at your personal and business finances, another aspect of your application that lenders consider closely is your truck. Are you looking at a truck for local deliveries or long-haul trucking? Long-haul trucks are often seen to carry more risk, as driving long distances often means repairs — and if your truck is out of commission, you won’t be earning. In Linda’s case, she was looking for a truck that could drive several hundred miles to their customer base, and she had to account for that in her plan. Discussing backup solutions and how she kept a mechanic on call for next-day repairs helped eliminate concerns. Where you’re buying the truck: Lenders will consider where you’re purchasing the truck. When you buy from a dealership, the lender has a better sense that the truck’s condition is solid. In Linda’s case, she decided to work with a dealership to help add that level of assurance to her application. Insurance: Truck insurance is the final piece of commercial truck financing requirements. Securing insurance or having a broker quote in place helps to show that you’re serious and plan to insure your vehicle. Contact lenders you’re considering to understand their requirements. Commercial trucking insurance typically includes liability, physical damage and cargo insurance. Business equipment financing can help your business achieve its goals. Understanding what’s needed — and putting the key pieces in place — help to lay the foundation for a successful application. Should You Buy or Lease a Commercial Truck? Purchasing: Obtaining funding to purchase a truck means that at the end of the loan, you’ll own the truck outright. Business owners are able to keep the truck and eventually sell it for fair market value if desired. Leasing: Leasing means that you’re renting a truck for the duration of the loan. Typically, leasing is a good option for business owners who want smaller payments, can only get approved for a lower loan amount, or for people who want to obtain a new truck at the end of their loan term. There’s no road map to the best solution for your business. Instead, consider all your options and decide based on your unique goals and financial position. Can you get a commercial truck financing loan with bad credit? Yes, with certain caveats. Prospective buyers need to know that it’s possible to obtain commercial truck financing with bad credit. However, interest rates are often higher. Linda made a few key decisions to help improve her position. The first was to evaluate each part of her application and make sure that it was as strong as possible, such as purchasing a reliable vehicle from a reputable vendor and leaning on the strength of her company’s established customer base. Saving up a sizable down payment and showing you have cash reserves can also help. It’s also important to look beyond traditional lenders. They’re often hesitant to make truck loans or don’t offer them at all. Alternative lenders offer more options and consider loan requests in the specialized context of your business. 179 Tax Deduction: Can It Help You? Many business owners are surprised to learn that specific tax deductions can make it easier to purchase or lease commercial trucking equipment. In brief, the Section 179 tax deduction allows qualified businesses to deduct capital financing costs or equipment leasing costs from their taxes. The deduction is capped at $1,000,000 per year; for many businesses, this valuable deduction can be one of their most substantial sources of tax savings. If your expenses exceed that amount, there may be additional benefits, including bonus depreciation scheduled for 2019. In order to qualify, equipment must be financed or leased and put into service during the calendar year. As Linda evaluated options for commercial truck financing, she talked to her accountant and tax adviser. Taking a closer look at her personal situation, they determined that she would be able to save significantly on her taxes if she went ahead with leasing commercial equipment. The projected savings freed up extra money that helped make growing her commercial trucking capabilities a reality. 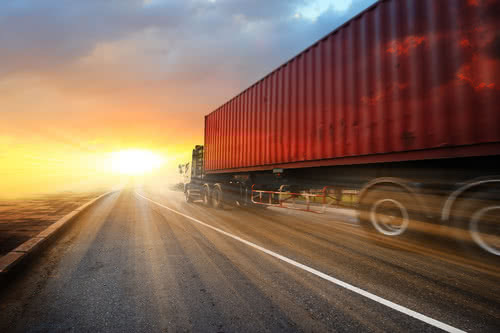 Commercial truck financing and commercial truck leasing offer businesses the opportunity to grow their operations and keep their goals on track. By understanding what lenders are looking for and taking stock of your business, you’ll be in the strongest position to obtain your new truck and hit the road with deliveries to your next customer ahead of schedule.